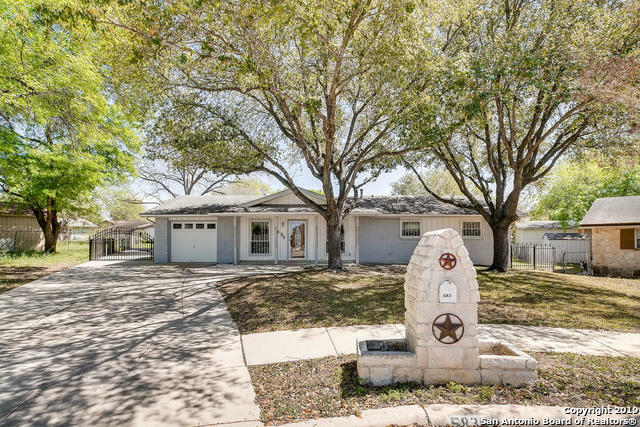 All VALLEY FOREST homes currently listed for sale in San Antonio as of 04/26/2019 are shown below. You can change the search criteria at any time by pressing the 'Change Search' button below. "Move in ready!This 2,056 Sq Ft lovely ranch style 4 bdrm 3 bath home nestled in a cul-de-sac is the largest in the neighborhood.The new laminate floors, new carpeting, new tile, fresh paint and additional new touches have given a modern look to the interior.The large family room is adjacent to a sizable enclosed patio perfect for a game room/man cave/media room.The large master suite has plenty of storage space with a large master bath.Plenty of parking with a one car garage and a large carport."